Very unusual aircraft. I used as a flying laboratory. It fills a gap in the genealogy of this remarkable aircraft. In my opinion even if that plane utilize parts from 109G6 late must have no bulges ower cancelled from set of armament MG-131 mashineguns. That plane strongly need Repair(FIXME) of 3D to remove gun barrels of Mg131 and nose groows for em. How I did it, it's to your taste. Tested on version 4.09. Assembled how it was in real from parts of Bf-109F.From exellent done JapanCats spare parts. Two textures partly modified was done by Freddy. All improvements can easyly used on every late series 109 with Erla haube and REVI-16 gunsight. Uzip all to your MODS folder. For another version of propellor in archive has another alternative mat with less shining prop disc. In Bf-109Z folder has archive with original JapanCat version of plane-if you don't need just delete that archive. edit Jan 2019: new DL link in the attachment below. Wow Greif, Good to see you Back here at SAS. We missed you! And thanks For the Z-Bird. Untill 25th of august I'm in Bremerhaven after back to my sweet home and family. And then i start upload what was done far away from human world. Thank you very much, and a warm welcome! After getting a fair amount of the old mission null messages I finally got her up and flying in DBW 1.71 Thanks Greif great looking plane. 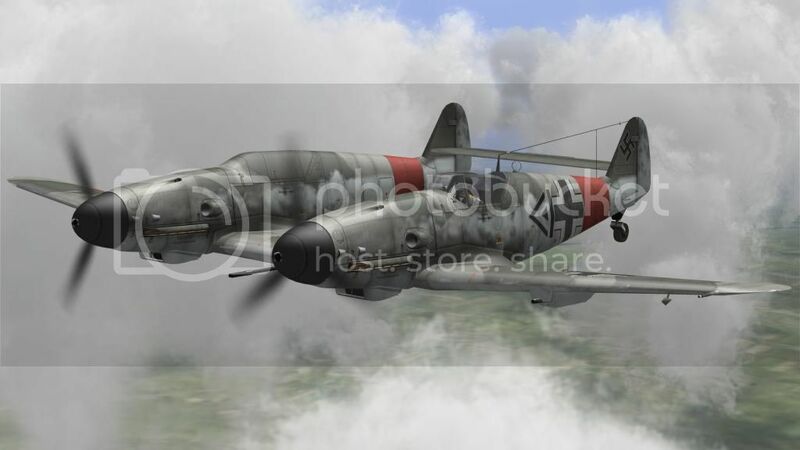 Maybe you got another mod and that caused that Find in your DBW another folder Bf-109Z with propellor.mat and temporary switch off. To do real shining prop takes me lot of time. Ummm more of a fan of the screen shot propeller mod Greif but,don't get me wrong yours looks great to.Please check Pm's Greif.